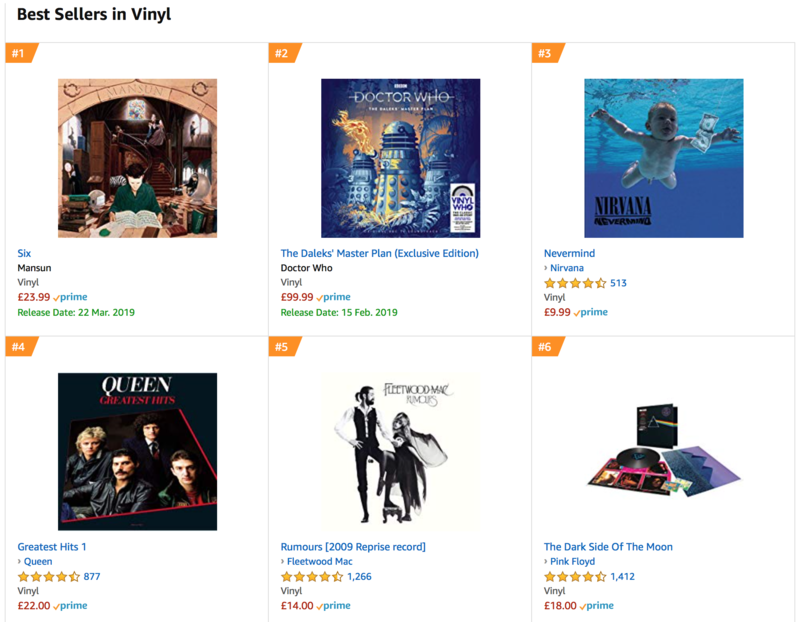 Leading online retailer Amazon has the 21st Anniversary Reissue of Mansun’s ‘Six’ as their number one selling vinyl! Amazon have the exclusive, very limited edition blue vinyl available on pre-order for delivery on the 22nd March 2019 HERE. 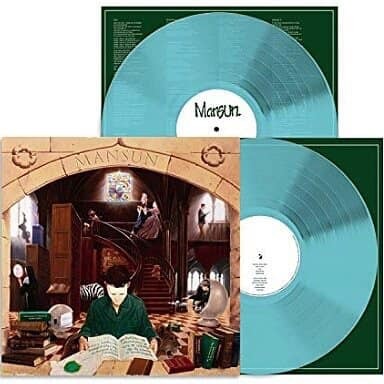 The blue vinyl is one of a number of limited edition choices; the ‘Six’ reissue is also available as a limited edition green vinyl from the Mansun Official Store and a limited edition clear vinyl from Burning Shed and independent retailers. To see the full range of options, including the lavish four disc (3CD+DVD) Deluxe Book follow this link, https://mansun.lnk.to/SIX_REMASTERED .